NYC Public School Parents: Now that Bill Gates has bought the education reform movement, can he buy them an Oscar to go with it? 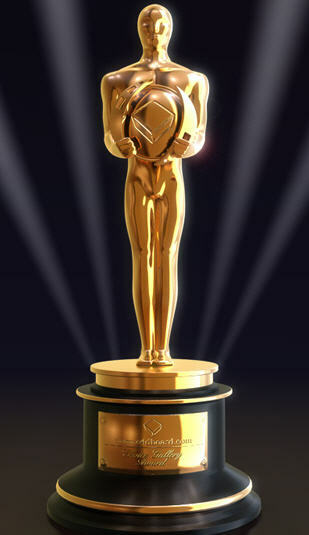 Now that Bill Gates has bought the education reform movement, can he buy them an Oscar to go with it? Last Sunday night, the Gotham Independent Film Awards kicked off the 2010 film awards season with a much-deserved Best Feature prize to “Winter’s Bone” and a Best Documentary prize to “The Oath,” which focuses on two men associated with Osama bin Laden who were also prisoners at Guantanamo Bay. Remarkably, four of the five films (including the winner, "The Oath") in the Gotham/IFP documentary category were not even among the fifteen already short-listed for the Oscars; only "Inside Job" among the five Gotham festival nominees made the cut for the Hollywood-driven Oscars. The festival's documentary category outcome meant a surprise early season loss for the darling of the education reform movement, the heavily advertised and supported, Bill Gates backed “Waiting for Superman,” colloquially W4S. It's worth noting, by the way, that while the Independent Filmmaker Project (IFP) shut out W4S and another pro-charter school film, "The Lottery," the more money-influenced Oscars included both in their 2011 documentary short list. As a consolation prize, however, W4S did garner a first-year Gotham prize called, fittingly enough, the Festival Genius Audience Award. Drawing from the twenty-six audience award winners at the top fifty movie festivals in the US and Canada, an Internet vote reduced that number to five finalists who were then voted upon once again via the Internet. Given the enormous sums already poured into advertising and distribution for W4S around the country, it is no more surprising that the hedge funders’ favorite somehow managed to capture the most Internet votes than was Bristol Palin’s continued retention via audience voting on “Dancing with the Stars,” courtesy of the near-lunatic fanaticism of Sarah Palin/Tea Party supporters. W4S’s loss to “The Oath” in a competition where early Oscar-buzz favorites like (among others) “Inside Job,” “Restrepo,” and “Gasland” were not even in the race may not bode well for Davis Guggenheim’s film. But now that Bill Gates has bought the education reform movement, will he buy them an Oscar to go with it? Judging by the amount of money that has poured into a national advertising and PR campaign that seems unprecedented for a documentary film not made by Michael Moore, somebody surely is trying hard to buy this year's documentary Oscar for W4S. It may not be Mr. Bill, but it isn't difficult to guess who's probably behind the big push: the same folks who are pouring millions into charter schools to privatize American public education. Anything for the children. Isn't that right, Bill?